Russian counter-intelligence is examining evidence suggesting that Georgia was seeking to recruit Russian servicemen to become spies. The allegations about Georgian actions are focusing on the period leading up to the August war. It’s believed troops were enticed by invoking feelings of patriotism or were simply threatened. But, it seems, they were rarely offered cash, or a better life. “I refused to become their agent, because I reasoned that it was Russia that was supporting my family,” one unnamed soldier said. “I asked them 'Will you offer me a job here in Georgia?' They said ‘no’. So that was the end of conversation”. The Russian security service says Georgian intelligence would initially be interested in general information about the whereabouts of the military units and the positions of recruited soldiers. But that became more specific closer to the war. “In April this year they approached and asked me if I would fight against Russia if a war breaks out,” another Russian soldier said. Some soldiers flatly refused to cooperate, but there were those who did say ''yes'' believing themselves to be true patriots of Georgia. 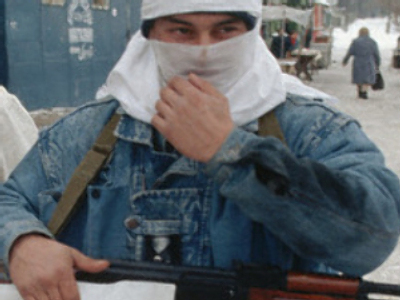 The Georgians didn't bother to protect their agents' identities, Lieutenant-General Nosov said. “They would ask about the movement of Russia's army units and their plans and things”. With Russia's army advancing after the attack on Tskhinval, the Georgians abandoned their positions, but they forgot to destroy the data which revealed the names of their agents. It is now being carefully looked at by Russian counter-intelligence. And when the spy recruitment failed, Tbilisi turned to stage management and sometimes force. Russian businessman Irakhad Namazov says prison guards would watch his every step. “Even if I went to the lavatory, two of them would always protect windows so that I didn't jump out killing myself. They forced me to say on camera that I was sent to kill the Georgian president”. Meanwhile, there’s growing evidence that the shooting incident near to the Polish and Georgian Presidents was manufactured by Tbilisi. With many in the west growing increasingly skeptical over Georgia's role at the start of the conflict, the claims further undermine the country's political credibility.